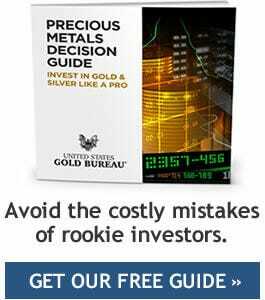 One of the first questions you're likely to have when you start investing in gold is how to decide between certified Investment Grade Coins and bullion. Bullion costs less per Troy ounce of gold than Investment Grade Coins, which could reasonably make you question why to invest more for the same amount of gold. Investment Grade Coins cost more for a reason - for several reasons, actually. Bullion has its role to play in gold investing, but for many people interested in buying gold, Investment Grade Coins are the better choice.This infographic helps to simply explain further. Check it out share and share with your friends and colleagues.